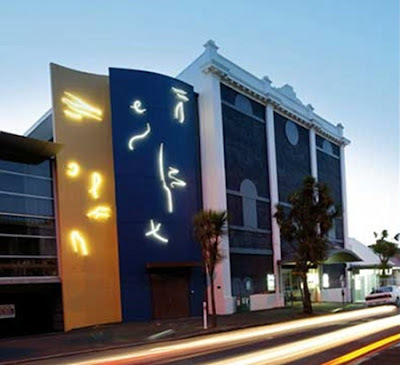 The Govett-Brewster Art Gallery has been hailed as New Zealand’s foremost museum for contemporary art and is also renowned for housing the collection of the modernist kinetic sculptor and filmmaker Len Lye. The gallery has been recognized for its commitment to develop a premier standard contemporary artistic showcase, and the success and recognition it has received internationally has cemented its status as a hub for the arts of the Pacific region. The gallery has developed and maintained a comprehensive collection of modern artworks and also undertakes a varied programme of events and special exhibitions. By initiating programmes which encompass the wider environment, the establishment also attempts to nurture the interpretation and development of contemporary artwork by attracting new audiences to the genre. It also intends to develop new opportunities for artists in present-day society. Having opened its doors to the public in 1970, the groundbreaking establishment has always provided visitors with memorable and vibrant experiences with modern art. The Govett-Brewster has achieved recognition as a pioneering institution, always intent on presenting innovative groundbreaking exhibitions, creating new projects involving artists, presenting publications and generating ideas through constructive discussion and so on. The gallery always aims to stimulate the imagination and to challenge existing preconceptions. The pathfinding institution intends to create fresh directions in the sphere of modern art and its relationship with art lovers and the general public, offering tours, workshops, performances, music, films and other events in this endeavour. The Govett-Brewster features a significant permanent collection, with an emphasis on modern art from the Pacific region as well as New Zealand. The collection is particularly strong in areas such as conceptual art, abstract art and sculpture from the 1980s and 1970s. In acquiring its compilation of visual modern artworks, the intention of the gallery has always been to obtain creations which reflect current thinking or display innovative improvisation in the genre. However the establishment’s collection is intended primarily to serve as a resource for its education and exhibition initiatives rather than to simply remain a static collection of artefacts. The visitor who seeks New Plymouth accommodation will be delighted with the Copthorne Hotel Grand Central New Plymouth, a convenient New Plymouth hotel which offers appealing comforts in a convenient location.